While it's tempting to head straight the beach and stay there for the duration while visiting LA, it's a real crime to do so. There is so much to discover in this city and still so much I have left to see - hence the reason it's like a second home these days. The visits will keep coming until I see it all... or... ummm most of it. 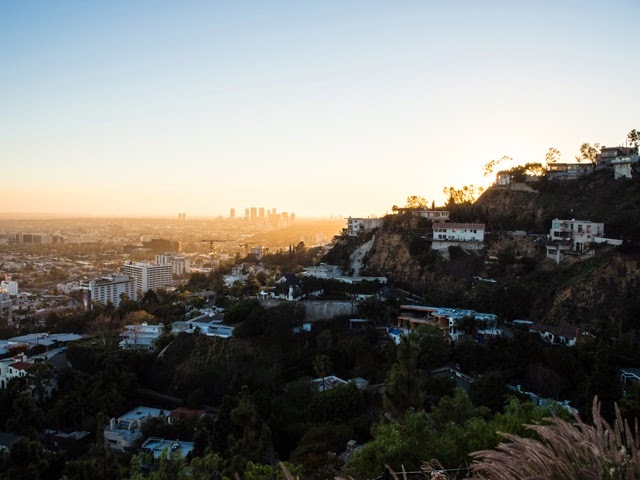 As long as I still have something to discover and share, the Los Angeles stories will keep flowing on FFG. 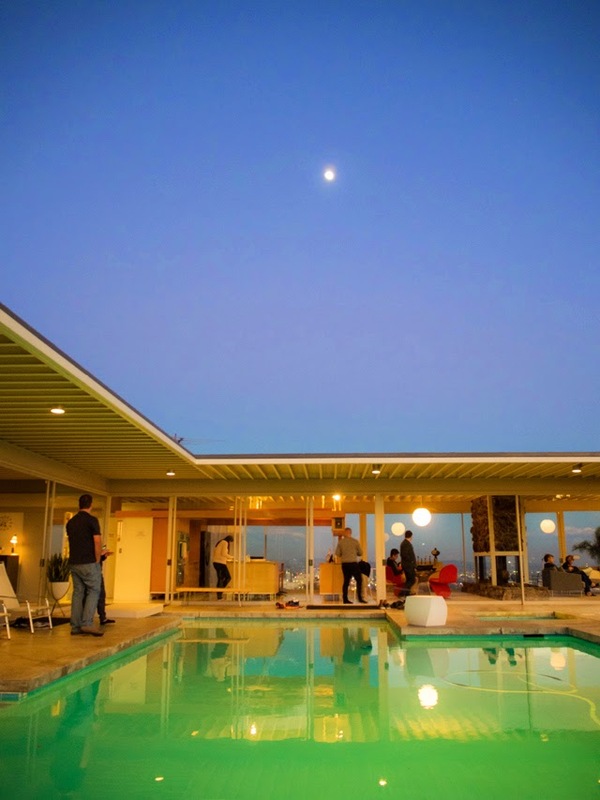 Last year, a dear friend of mine, Mademoiselle Robot, visited the Stahl House in the city. Her pictures below me away and it instantly went to the top of the LA Bucket List. 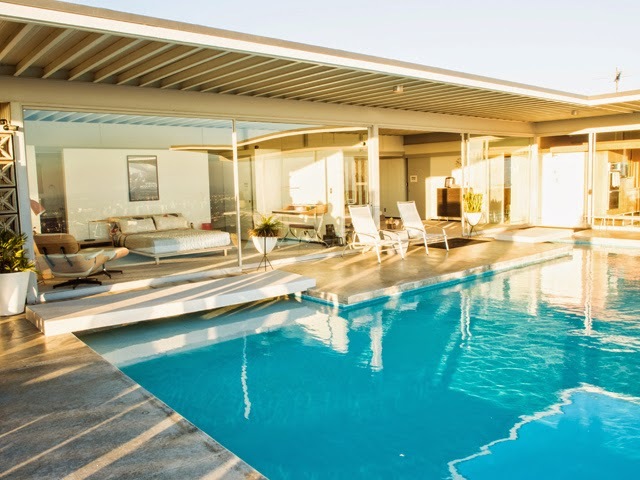 For those of you unfamiliar with the famous piece of architecture, it's one of the Case Study houses created in the USA post World War II. If you're scratching your head and wondering where you've seen this beauty before, you're not losing your mind. 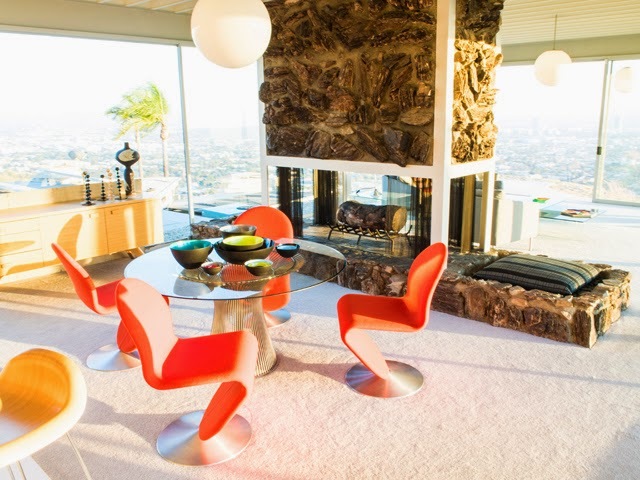 Stahl house has been featured in countless photo shoots, movies and advertising campaigns. It's an American architectural gem. 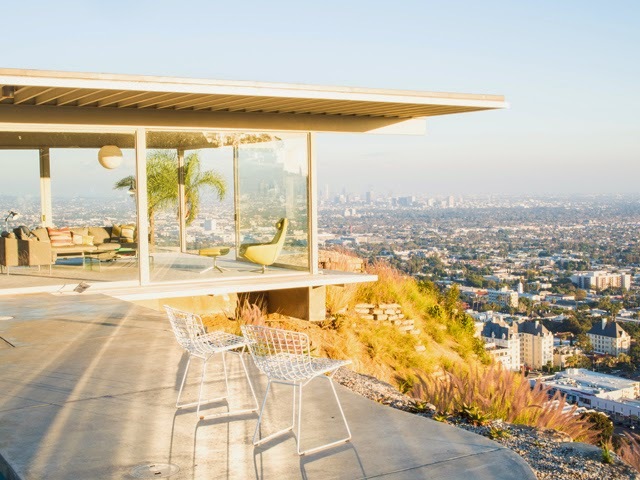 Stahl House is precariously placed in the Los Angeles hills, sitting atop a cliff, with the most spectacular views of city laid out at its feet. 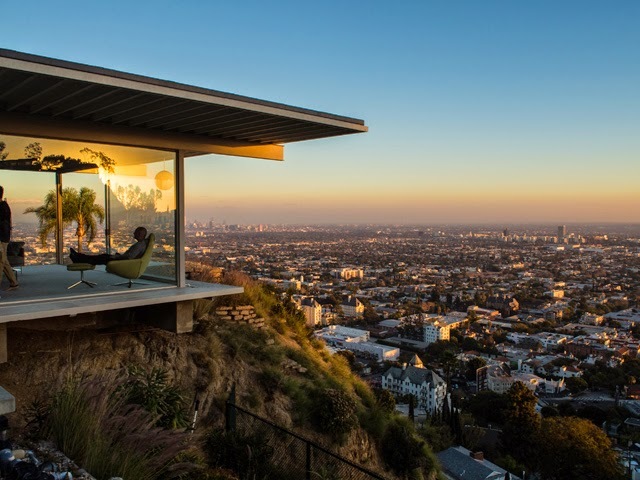 It's easy to understand why the owner and architect would think a space with unobstructed views would work best for this construction. Every single room in the house is fronted with panes of glass. And each and every room offers a unique view of the beautiful city, best discovered at the magic hour when the sun sets into the ocean in the distance. 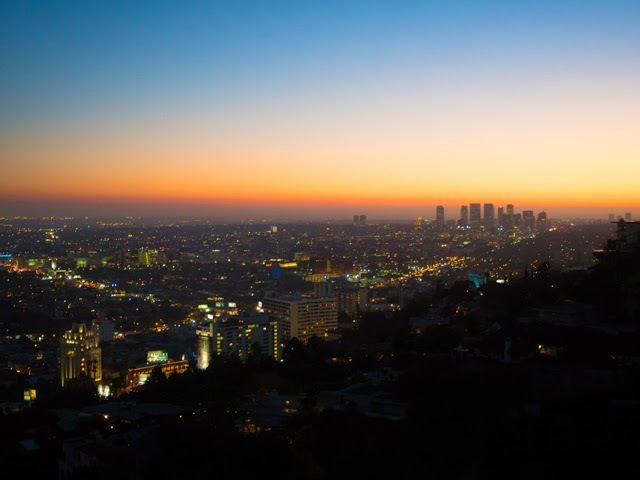 While it is still owned by the family, the site has become a very popular tourist attraction for LA natives and visitors to the city alike. Before reaching the house you must bend through the historic hills, passing beautiful houses and quick glimpses of the city below as you climb. Each tour is kept to a very small group so that both parking at the house and pictures while inside the house are easily managed. It's truly a step back in time to the 1960s, complete with vintage furniture and minimalistic decoration throughout the space. As we made our way through the house we were warned of the dangers of stepping to close to the edge of the cliff, told of people falling into the pool and asked to remove our shoes when entering the living space. These seemed to be the only "rules" and "warnings" that came with the tour. The rest was simply, "have fun and enjoy the space." Photographs were encouraged and social media praised. Here I was thinking my camera would never stop clicking when our tour guide announced that in fact one man had taken over 10,000 pictures while on a tour a few years back. Yowsers. 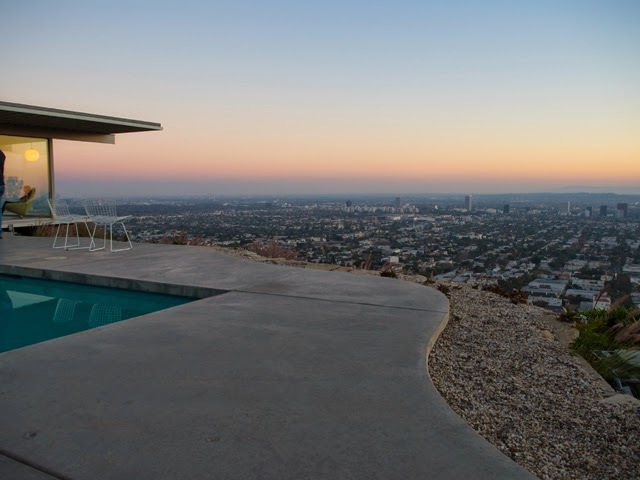 I did, actually, take over 300 pictures while walking through Stahl House, and had a great deal of difficulty in narrowing down which ones to share with you herewith. 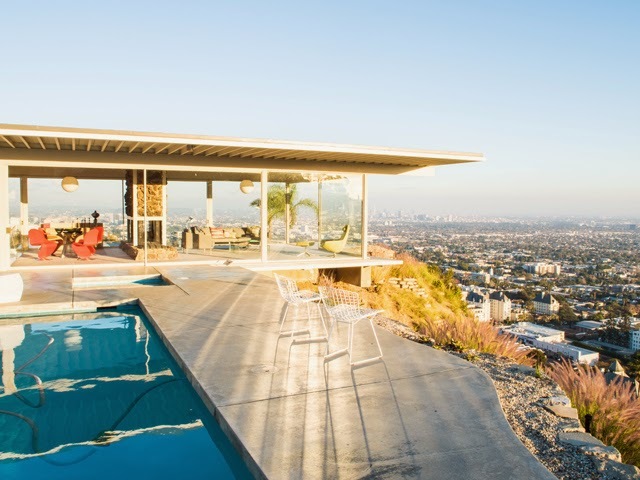 To visit LA and not make some time to visit Stahl House is a missed opportunity, in my opinion. Great photo ops here, people. Or, if you're leaving the camera at home, this is a chance to truly enjoy a piece of architecture that is celebrated the world over. Tickets sell out quickly, especially for the tours that feature the sunset hour - go to this tour!